Nham Thin The Dragon personality. The Dragon is a creature of myth and ledgen. A symbol of good fortune and sign of intense power, the Oriental Dragon is regarded as a divine beast-like, the reverse of the malicious monster that Westerners felt necessary to find and slay. In eastern philosophy, the Dragon is said to be a diliverer of good fortune and a master of authority. Therefore, those people born in Dragon years are to be honored and respected. The first years of the TẾT Festival IN Perth were relatively modest. Beginning in the early 1980s, as people began to assemble the New Year’s celebration in small halls. These small venues were used to display altars, for the Vietnamese to show their respects to ancestors, and for local Vietnamese musicians and visual artists to perform. Food would be brought by all who wanted to join in on the celebration; creating a huge potluck of Vietnamese cuisine. This year marked the 30th Annual Tết Festival, Vietnamese Lunar New Year celebration in Perth. 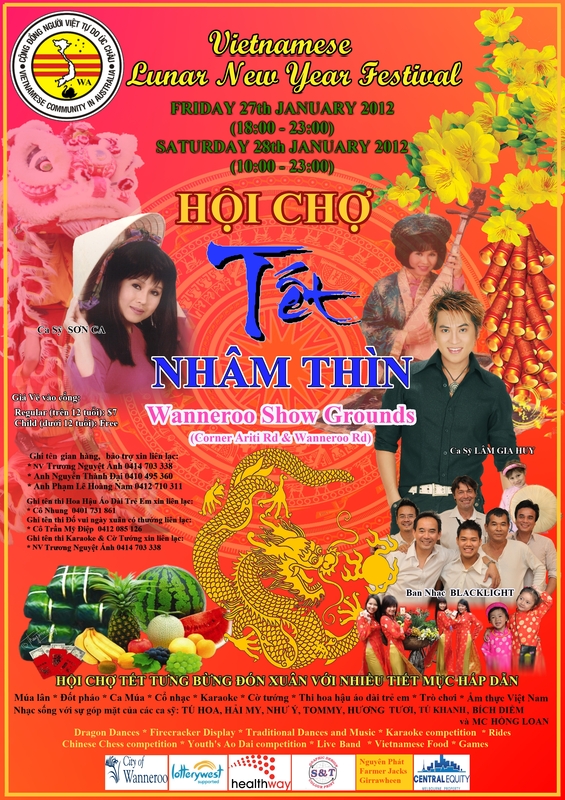 With the support of the City of Wanneroo, the Tet Festival 2012 will be held at Wanneroo Showgrounds (Cnr Wanneroo Rd & Ariti Avenue). This year festival will be bigger and better than previous years, with more entertainments including show rides and games for the young and old over the two days, Friday 27th and Saturday 28th of Jan 2012. Together with our other sponsors and volunteers, Tết Festival has been a very successful event in the past years. 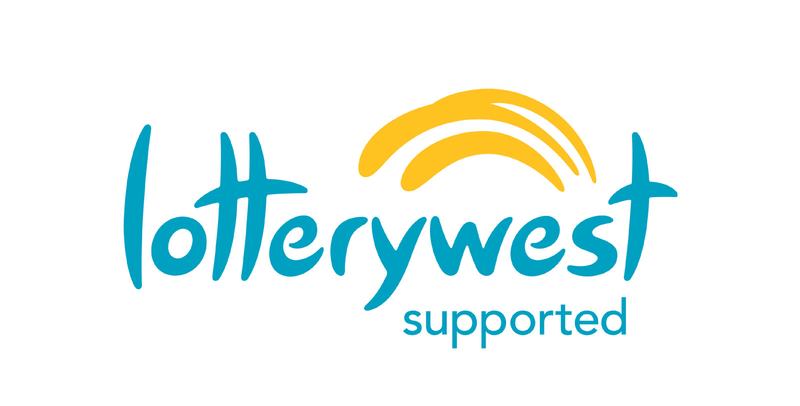 The Vietnamese Community in WA Inc together with other associations and its members fully support the event, which has become a tradition for the community. We believe that this vibrant and colourful cultural celebration will contributes and enriches the cultural diversity of the City of Wanneroo. It is more than just a celebration by Vietnamese Australians of the Lunar New Year. It is an opportunity for us to share our cultural heritage with the wider Australian community and to promote greater cultural understanding and tolerance within our multicultural society. People from all ethnic backgrounds attend the Festival each year to celebrate the Lunar New Year.